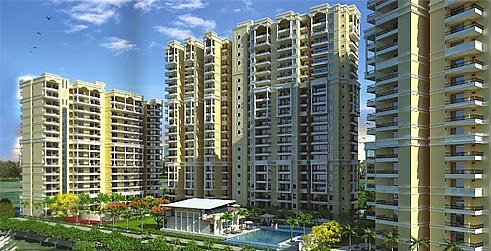 Planning to buy Real Estate Property in Noida? Know some top benefits of the investment! If you own a property in Noida, whether it is residential or commercial, you are naturally exposed to a number of benefits connected with this superb place. A significant perspective in this direction would be to look at the uncommon location of Noida. Enveloped by Delhi, Ghaziabad, Greater Noida & Dadri, Faridabad and up to a stretch by Gurgaon also, Noida is halfway located in the NCR. Hence, the unique location of Noida turns it into the most sought destination for residential and corporate purposes as opposed to any other adjacent city. The unveiling of Metro rail services has made it easier and safer for the folks to travel to both Delhi as well as Gurgaon. The DND flyover over the Yamuna River can transport a person to South Delhi in a couple of minutes. The undisturbed Yamuna Expressway cuts down the time and traffic to reach Greater Noida and Dadri. Ghaziabad is next to Noida and is quickly reachable by crossing National Highway-24. And even several multi-specialty health care centers are present here for people suffering from medical problems. These are a handful of reasons for the surging investments in the real estate property in Noida city. As opposed to other overflowing cities of NCR, Noida is a spacious and uncongested place with well-built and well-maintained roads. As a result, there has been a remarkable upsurge in the real estate property in Noida. You can easily find apartments and flats in this city that will suit both your budget as well as your preference. With the privatization of higher education, Noida and the neighboring cities have also seen the coming of various AICTE approved engineering and management colleges. Even students from nursery to senior secondary level need not worry because of so many already built schools affiliated to renowned CBSE Board, New Delhi. With the cropping up of small & medium scale organizations, higher education and property in Noida, this place has successfully turned into a hub of commercial markets, shopping malls & arcades. The shopping plazas such as The Great India Place, Center Stage Mall, Supertech Shopprix Mall and more are overflowing with the global clothing, jewelry shops, food courts and restaurants providing a wide array of deals. Majority of these marts also support multi-screen movie halls like Wave, BIG, PVR Cinemas and so on. The Sector-18 Bazaar of Noida is a celebrated shopping and recreational hub with the biggest amusement park called Worlds of Wonder. The availability of luxury hotels like Radisson and Park Plaza in Noida is also a symbol of its boom. In a nutshell, be it apartments or flats, commercial or residential, real estate property in Noida shows up with a great package and unmatched services. For right guidance on recent rates and projects of Noida real estate, it is advisable to contact an established realtor via internet and make us of his suggestions. This entry was posted in Invest in Noida and tagged Property in Noida, Real Estate in Noida on April 29, 2015 by admin.